You know what I just realized? The NYC Marathon is next weekend!! I’m seriously so pumped for all of you running it and I can’t wait to go be a spectator. And to see Kara Goucher run! Anyway, here are your links for today! I love this pose though I can’t lean forward like that. And I’ve never tried the shoelace one. Think I will do these tonight! Spooktacular Smoothies (Run To The Finish) – Cute idea and the smoothie recipes look delicious. If you have a smoothie recipe, head on over to Amanda’s page to link up to this post! Taco Pizza (A Mindfull Mom) – This just made me really hungry. Combining tacos and pizza? Sounds awesome. Last Minute Healthy Meals (SuzLyfe) – I’m all about quick, healthy meals – especially for dinner. I usually get home from the gym and just want to eat. There are some good ideas here. 30 Best Kettlebell Exercises (Lifting Revolution) – I need to get a kettlebell to just have in my apartment for when I don’t go to the gym. Bookmarking this! Do you wear different types of fitness apparel for different activities? What do you prefer? I need loose fitting shirts and spandex shorts! You may be injured. Or just may just want a change in your routine. These low-impact exercises are great when you have some sort of lower body issue (like my shin splints) or just want to switch up your cross-training. Really, who wants to be on the elliptical for an hour?? You can try doing one (or a mix) of these instead. I’d say my favorite are the battle ropes. Battle Ropes – I recently took a ropes type class which I’ll be reviewing next week. Let me tell you, I am sore. We did all sorts of stuff with battle ropes. My heart rate was jacked up and I could feel my core workout. Any exercise where I’m doing cardio and abs…I’m in. The great thing about using ropes is that it can be as low-impact as you need. I told the instructor I had shin splints, so she modified certain exercises for me. Regardless, I still had to take breaks because I was so winded. Talk about a great way to exercise when you’re injured and can’t run! Stairs - For some reason, I get more winded with stairs than running. No joke, I go up like 10 steps and I’m out of breath (can anyone tell me why??). Stairs are a great way to get in some lower-impact cardio and feel the burn in your quads. If you don’t care about low-impact, add in some jumps (similar to box jumps) to really get in a good lower body workout. Hiking – About a month or so ago I went for a 1.5 mile hike with Dan. 1.5 miles is nothing right? Well it was straight up a rocky hill, so by the end I was pretty sweaty. If you’re injured, this is a great way to cross train and be outdoors at the same time. Suspension Training – I’m sure you’ve heard of TRX training. You can do suspension training with anything similar to a TRX. At the class I took we simply used ropes that were hanging from a pull-up bar. 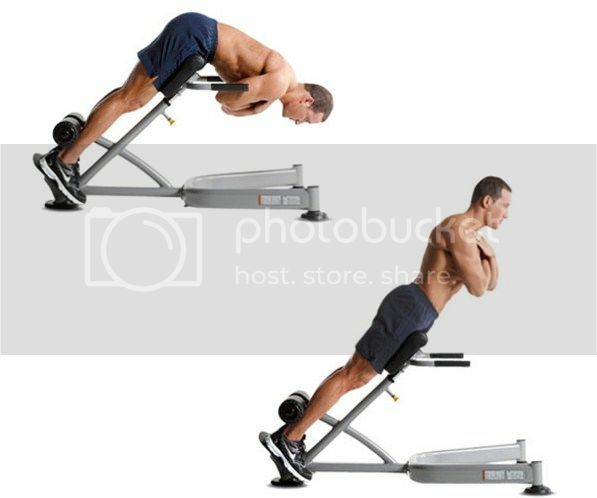 There are so many things you can do with suspension trainers: lunges, mountain climbers, planks, rows, single arm rows…the list goes on. Rock Climbing – During grad school, I worked with the college Recreation department. As a team, we took a trip to the rock wall at our school. I was really scared because I had never done this before. Turns out it was actually a lot of fun AND a great workout. My arms were pretty sore the next day! Rock climbing not only works your arms, but your lower body too since you use your legs to boost yourself up each time you go for a rock. The best part is belaying all the way back down at the top! One more day and I’m outta here! I’m excited to be traveling to South America…though I’ll admit I will miss my cats But at least my uncle will be home to take care of them. We were nervous we wouldn’t be able to find someone to watch over them. Yes, I have multiple cats…I swear I’m not a crazy cat lady! Definitely doing this workout by Healthy Happier Bear while I’m away. I love timed workouts because it’s easy enough to do and all you need is a timer. Plus, 15 minutes? Perfect for when you don’t have time to dedicate to a longer workout – whether you’re on vacation or not! Nut & Seed Granola Bars (Gettin’ My Healthy On) – Such a great idea! Favorite Healthy Travel Snacks (Run Pretty Blog) – Would have never thought to bring hummus on the plane – definitely doing that. Road Trip Healthy Snacking (Breathe Deeply & Smile) – Great recipe for protein bites. Travel Fit Tips (Fit 2 Flex) – Definitely need to pack my suitcase with food! Hotel Room Workout (Live Love Surf) – Since I won’t have any equipment, this is perfect. No Excuses Not To Work It Out (Sprint 2 The Table) – A bunch of workouts, so you really have no excuses. Fast & Furious Total Body Circuit Workout (Live From La Quinta) – I’m all about quick, total body workouts. Quick Fix Workout (Lean Clean Brie) – Cardio (and burpees)? I’m in. What are some of your tips on how to stay healthy while on vacation? I’d love to hear them! I’ve been loving not having any races to train for. It has given me the freedom to run when I want, and skip a run when I want. The days I’m not feeling a run, I’m okay with doing something else. In fact, I’ve been wanting to do other workouts since when I AM training for something, it’s hard to get other types of workouts in. Anyway, I’ve also gotten back into spinning. I have taken a few classes with a friend, but also make up my own workouts at the gym. The above picture was from a combo spin + yoga class at Ride + Reflect in Bernardsville, NJ. 45 minutes of spin, 45 minutes of yoga. Loved it! I used to hate spin but actually really like it now. I am on the hunt for an inexpensive bike so I can start riding outside. I’ve written about how I want to do a sprint triathlon later this summer (possibly), so I need a bike for that! I have a mountain bike, but not sure if I can use that? I’ve also enjoyed going to the gym and getting back into lifting. I’m not following any set plan right now, but have liked doing more interval type workouts using weights. My sister and I did a tough one yesterday, which I will actually share on my YouTube channel later this week – so stay tuned! But I can’t forget about running. I do miss it sometimes, and the other day I just felt the urge to go for a run, even after an hour of lifting. I decided not to wear a watch or anything, and just go with the flow. I ran 2.6 miles and felt amazing despite the heat. I think my mom and I will be doing a half marathon in September or October, and we’d also like to do the Philly Half. We are considering doing a spring full marathon but I don’t know how I feel about training in the winter time! I have only done it once for a May half marathon, and it wasn’t bad…but I do prefer training in the summer. We’ll see! What types of workouts do you do when you’re not running? Have you done a spring full marathon? Which one? How’d you adjust to running in the winter? What Workout Should I Try Next? A co-worker had suggested a while ago that I try willPower & Grace because she thought it’d help with my shin splint issues. It’s a barefoot class which focuses on balance and leg strengthening. It was tough in a totally different way! A looottttt of squat variations, my legs were on fire. The hardest part for me was the balancing part. We did a lot of one-legged exercises and I felt like I was the only one falling all over the place. I’m way more wobbly on my left side, which may be part of the reason my left shin is always the one to give me more issues? During all those balancing exercises my ankles and calves were also burning. It was weird because the day after my shins felt sore? I obviously didn’t do anything with major impact to make them sore, so I’m thinking that working all those muscles in that area is what made my shins hurt a bit. I definitely want to do this class again to help with my balance which is obviously very important for runners. What workouts do you want to try OR do more of? Leave a comment and let me know so I can add it to my list too! It’s finally spring! This winter has been tough (at least here in NJ), so I’m really excited that it’s warm out again. If you’re anything like me, cold, dreary, dark winter days means that you’re less motivated to work out. It’s hard to get outside and run in the cold (unless you’re training for something and NEED to be out there). It’s also hard to be motivated to go to the gym when you get out of work and it’s already dark out. Go for a hike. Explore some new trails in your area or use it as an excuse for a little day trip. You can choose whether you want a flat trail or something more challenging. Great way to get in some exercise and be out in the great outdoors. Go biking. I just found this park in my area (where I ran my most recent 5K) that has bike rentals on their premises. I definitely want to go and bike around the estate. If you don’t have a bike, this is perfect for you! If you do have a bike, grab a friend and go for a ride in your town or in a park. Find a local bike race and try something competitive (if that’s your thing). Or just go to the beach and go for a peaceful ride. Go kayaking. I actually have never done this but want to hit up the Delaware Water Gap this summer and try it out. Talk about an upper body workout! If you want something more relaxing, try tubing or rafting with some friends. Someone on Twitter recommended to me to try out rafting with a few cold ones and lounging with friends…okay, this isn’t really going to burn many calories or anything but sometimes that’s okay! Try a trapeze class. This is another thing that’s on my bucket list. I am kind of afraid of class but think this would be really fun. Not sure if I have the upper body strength for it but we’ll see! Go for a swim. If you love lounging by the pool in the summer, take advantage of the water and go for a swim. Swimming is a full body exercise and burns mega-calories. Whether you’re at the pool or by the beach, get in the water! Or you can do other water activities, like playing pool basketball, or throwing around a ball in the ocean with a friend. That’s always a workout for me because I never can catch the ball! Play tennis. Or soccer. Or lacrosse. Try a new sport! I love going to play tennis with my mom, even if I can only last for 15 minutes. Somehow I can run 26. miles but a few minutes of sprinting around a tennis court kills me. If you don’t have tennis rackets, go out and play soccer or basketball with friends. These are only a few ways to get active outside. Take advantage of the beautiful weather and get out there! Also, if you are planning on ramping up your running now that it’s warmer, here’s my one tip for you: Start slow. Don’t get over-enthusiastic and end up with an injury because you did too much too soon! It’s only Wednesday…I seriously feel like it should be the end of the week already! 4 Min. Tabata Workouts (The 12 Minute Athlete) – Great ideas for short interval workouts. Are Social Media Fitness Challenges Worth Your Time? (NJ.com) – We’ve all seen them…”100 squats challenge!”…etc. I 100& agree with this article. 4 Tips For Staying Healthy During A Night On The Town (Sensual Appeal) – Love these tips…though the whole not eating greasy food at 2AM is the hardest part! Do you strive for “perfect” eating or are do you treat yourself when you have a craving?